Thanks to the emergence of cloud computing, it's no longer possible for IT departments to be just a builder and manager of technology; you must also now be a broker of IT services across the enterprise. Consequently, you need to design an IT environment that offers the flexibility, efficiency, and security to meet these expectations and aligns services with business needs. This is a task that's best achieved by striking a balance among IT domains, spanning traditional internal IT, private, and public cloud environments. 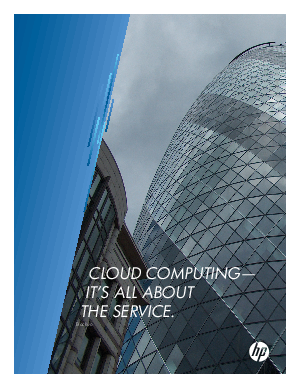 But how do you achieve the right IT balance for delivering cloud services? Read this white paper to find out.